Actually, I was waiting for these festive days! I want to share the recipes, which I have made for Lohri and Makar Sankranti! Today, I’m going to share a very easy recipe that I have learned recently. I think, many of you make it in home. So, if I got any mistake or something makes it better, please tell me! 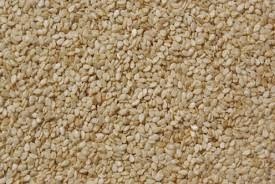 Here I go……..
Roast the sesame seeds till they are light golden in color. Cool and keep aside. Heat a pan and add the jaggery. Simmer over a slow flame till it caramelizes. 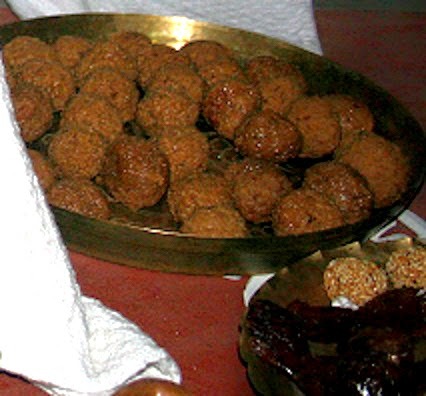 Grease your palms with a little ghee, divide the mixture into 12 portions and shape into lemon-sized laddoos. 1. If fish is to be stored for more than a day, clean it, rub with salt, turmeric and if liked, a dash of vinegar before freezing. 2. In winter, dry-face is a big problem! Take equal amount each of Melon, Pumpkin, Cucumber and Watermelon and make a paste of these. Then blend it with milk cream and apply it on your. After 1 hr rinse your face with plane water and see the magic!